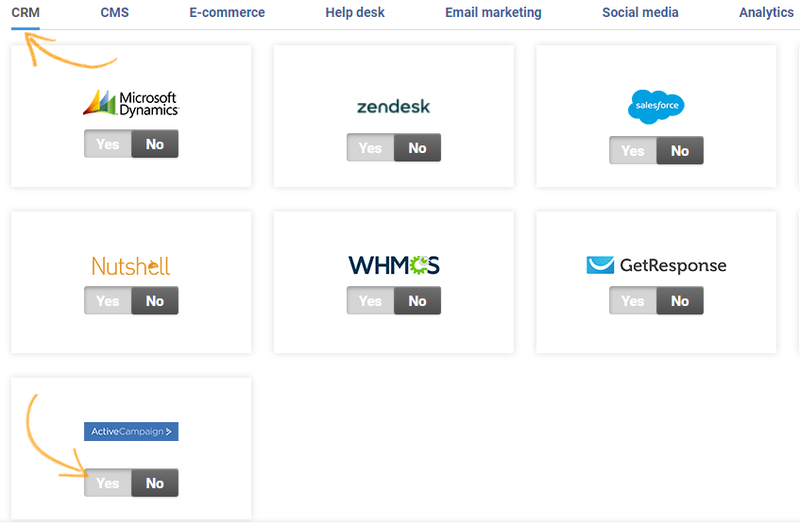 ActiveCampaign helps you build your list and manage your contacts more effectively. Using its contact based features, you will learn personal & behavioral details of your contacts while utilizing that data for mass automation sequences, personalized campaigns, and more. Take your customer support capability to the next level with ProProfs Chat integration. ProProfs Chat is an industry leading live chat solution that helps organizations to augment their site's self-service capabilities with live chat. Combining ProProfs Chat's advanced features and unmatched reliability with ActiveCampaign's rich features; you can achieve a compelling customer experience with this combined solution. This chat solution is highly scalable and comes with a flexible pricing option to facilitate you to choose the fitting-choice for your business. How to integrate ProProfs Chat with ActiveCampaign? 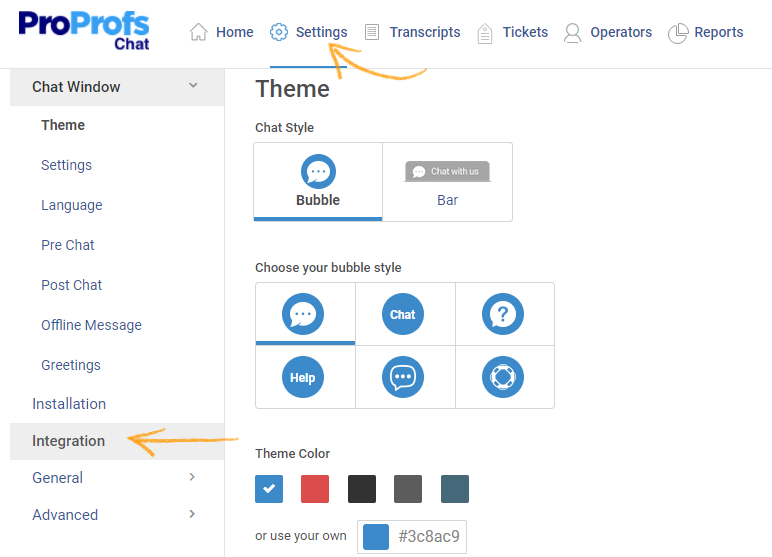 ProProfs Chat offers a prompt Add-on to integrate live chat facility into ActiveCampaign. Many organizations rely on our live chat solution to provide real-time chat facility to their customers. You just follow the below steps, and you are all set to start to manage your campaign with ActiveCampaign. Step 1. Login to your ActiveCampaign account and go to contact section to view the contact details on your particular list. Step 3. Login to your ProProfs Chat account and go to “Settings→Integration” Option. Step 4. Enable ActiveCampaign section under CRM integrations. Step 5. Enter your 'ActiveCampaign' URL, password, and API key, click save to complete the integration.